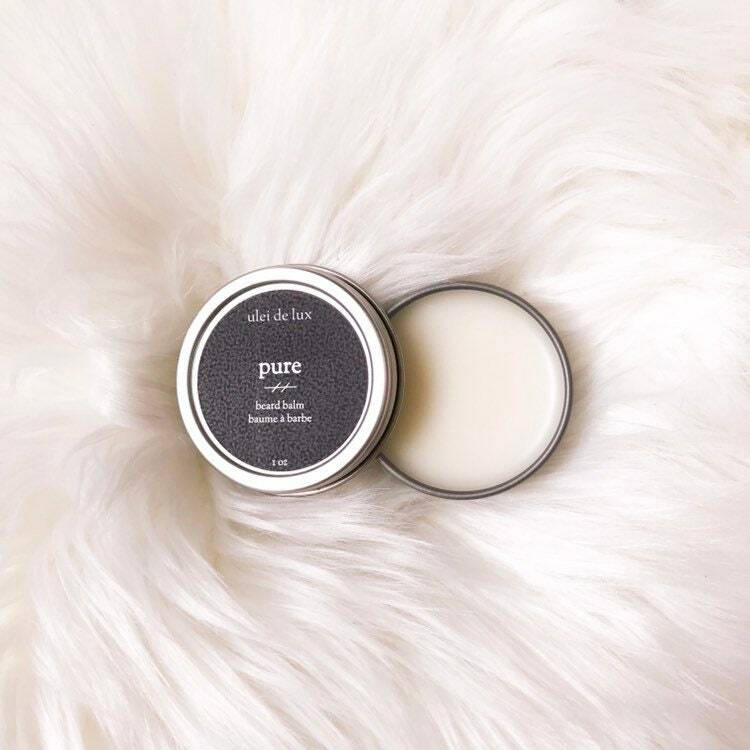 Our 100% natural beard balm offers all the moisturizing properties of our beard oil with added hold to keep your beard in place. Made with shea butter, beeswax, and sweet almond oil, use it daily in conjunction with beard oil to keep your beard looking its best. Comes packaged in a 1 ounce tin. Shea butter, Beeswax, Sweet almond oil, essential oil. To use, scrape a pea sized amount with the back of a fingernail and rub between your hands. Once melted, apply to the beard in a downward motion.